We collect personally identifiable information when you choose to use certain other features of the Site, including: i) making purchases, ii) consenting to receive email or text messages about upcoming promotions or events, iii) consenting to receive email, iv) participating in our forum, iv) commenting on articles, and others. When you choose to use these additional features, we require you to provide your “Contact Information” in addition to other personal information that may be required to complete a transaction such as your phone number, billing and shipping addresses and credit card information. Occasionally, we may also request information such as your shopping preferences and demographics which will help us better serve you and our others users in the future. You may choose to invite friends to join the Edmonton Numismatic Society by sending invitation emails via our invite feature. The Edmonton Numismatic Society stores the email addresses you provide so that the respondents may be added to your social network, confirm orders/purchases and also to send reminders of the invitations. The Edmonton Numismatic Society does not sell these email addresses or use them to send any other communication besides invitations and invitation reminders. Recipients of invitations may contact The Edmonton Numismatic Societyto request removal of their information from our database. The Edmonton Numismatic Society only uses your personal information for the original purposes it was given. Your personal information will not be sold or otherwise transferred to unaffiliated third parties without your approval at the time of collection. 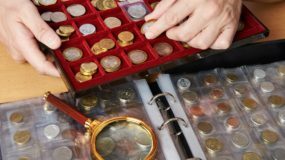 The Edmonton Numismatic Society will not disclose, use, give or sell any personal information to third parties for any purposes other than to our suppliers and other third parties who need to know in order to deliver services on behalf of The Edmonton Numismatic Society unless required to do so by law. 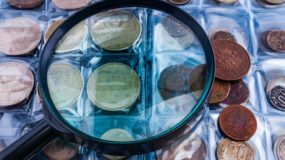 Further, The Edmonton Numismatic Society reserves the right to contact you regarding matters relevant to the underlying service provided and/or the information collected. 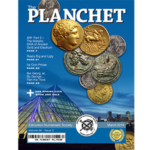 The Edmonton Numismatic Society may use your personal information for target advertising toward you based on things such as region, gender, interests, goals, habits, etc. We may permit certain trusted third parties to track usage, analyze data such as the source address that a page request is coming from, your IP address or domain name, the date and time of the page request, the referring Web site (if any) and other parameters in the URL. This is collected in order to better understand our Web site usage, and enhance the performance of services to maintain and operate the Site and certain features on the Site. We may use third parties to host the Site; operate various features available on the Site; send emails; analyse data; provide search results and links and assist in fulfilling your orders. The Edmonton Numismatic Society may disclose Contact Information in special cases where we have reason to believe that disclosing this information is necessary to identify, contact or bring legal action against someone who may be violating our terms and conditions of use or may be causing injury or interference with our rights, property, our customers or anyone who could be harmed by such activities. If any user who receives an email from the Site and would prefer not to receive such communications in the future, [he or she] can do so by following the instructions in the emails. In addition, you may send an email to info_ens@yahoo.ca. We will make commercially reasonable efforts to implement your opt-out requests promptly, but you may still receive communications from us for up to ten business days as we process your request.